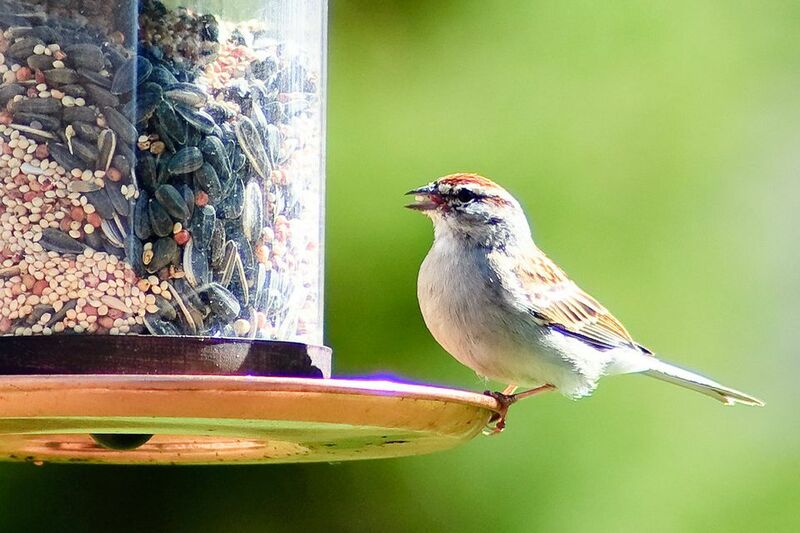 Knowing how to save money on birdseed can help backyard birders continue feeding their feathered friends. Backyard birding supplies can get expensive – seed prices can rise and other financial factors can come into play. The good news is, it isn't necessary to stop filling feeders – you can keep feeding the birds and still keep extra money in the bank. Most birdseed mixes and straight seeds are available in different size bags from bulk stores or wild bird supply stores, and larger bags generally have a better per-pound price. This also ensures that you always have seed on hand and you don’t need to buy seed as frequently. 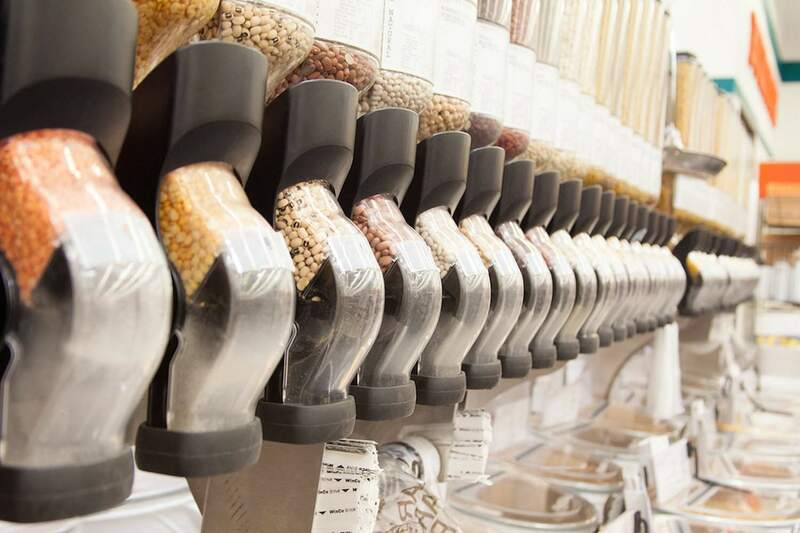 At the same time, if you only need a small amount of seed for a small feeder, buying in bulk lets you get just what you need instead of spending more money on seed you won't use before it spoils. Comparison shopping works just as well for birdseed as for other products. Check sales flyers from pet stores, farm supply companies and landscaping nurseries to see where the best deals are on seed, and stock up when the price is right. Online retailers may offer more competitive prices, but be sure to add in shipping and handling fees to find the best deal. Even a small sale can add up to big savings if you're buying a lot of birdseed. Birdseed is easy to grow and natural seed will attract even more birds than filled feeders. As a bonus, by growing your own birdseed you will eliminate the need to fill feeders, since the birds will happily feed directly from the plants. Sunflowers and other seed-bearing flowers for birds, as well as berry bushes, seed-bearing grasses, fruit trees and nectar-rich flowers are all easy food sources you can grow. Higher quality seed such as Nyjer or hulled sunflower chips may be more expensive, but it can be a better value because less of the bag’s volume is made up of filler seeds that few birds will eat. Offering a specialty seed blend specifically for your backyard bird species will also ensure that more the seed is consumed instead of wasted. Avoid seeds such as wheat, oats or other grains that few birds will eat. An empty feeder does not necessarily mean hungry birds. Because birds are notorious for spilling seed, waiting a day or two between refills will encourage them to feed on the ground. This will not only save money on birdseed but also saves on feeder maintenance as the birds clean up after themselves. An occasional empty feeder will also remind birds to seek out abundant natural food sources instead of relying on backyard handouts. Many birds will eat more than birdseed. Consider adding nectar, chopped fruit, bread scraps and other types of food to your feeders as alternatives to more expensive seed. While many of these foods should only be rare treats rather than regular meals for birds, they can supplement more expensive seeds. In addition to saving money, you may be pleasantly surprised when new bird species are attracted to these unique foods. Watch your feeders for a few days to see who is really emptying them and you may be surprised to learn that you’re feeding more than just the birds. Squirrels, raccoons, deer, bears and other wildlife frequently raid feeders. You can purchase feeders with built in cages, smaller feeding ports and baffles to deter these non-bird munchers. This will help be sure only the birds are eating the food you buy for them. Many commercial seed mixes and suet cakes are expensive, but the component ingredients are much more affordable. Purchase just the types of seed you want to offer to your backyard birds and blend your own mixes to save money. Because you know precisely what birds are in your backyard, you can also save by tailoring your mix for those species with little waste. You can also make your own suet cakes, craft fun birdseed ornaments or mix up your own hummingbird nectar. Many common backyard birds are happy to eat spiders, flies and other insects. Avoid spraying pesticides on your lawn and flower beds and let the birds take advantage of this natural food source instead. Not only will you need less seed, but you will save money on lawn care as well as birds take over as natural pest control. As a last resort, you can save money on birdseed by removing bird feeders entirely. While this may not be ideal, it does not have to mean the end of your backyard birding. Replace a missing feeder or two with berry bushes for birds, a bird bath, brush pile, nesting boxes, bird-friendly shrubs or other accents that will attract birds. You may find that your backyard becomes even more popular without the seed because it is a friendly habitat instead of just a buffet line.